Undergraduate students, graduate students, researchers, investors, entrepreneurs, and industry leaders can participate in the Collider Sprints. Collider Sprints are innovation projects open to undergraduates and graduates of all disciplines that take place outside of the classroom. The class is offered during Fall and Spring semesters and is listed in the course catalog as INDENG 190c. Due to high demand and specific skill requirements for each Collider Sprint topic, enrollment into the class is application-based. It is the student's responsibility to drop the class if they are enrolled through CalCentral but do not get accepted. Announcements regarding the application will be posted on SCET media channels and registered students will receive an announcement through bCourses. The class is only offered P/NP and students may choose whether to take it for 2 units or none. Units from this class count towards fulfilling the Certificate in Entrepreneurship and Technology for undergraduate students. “We believe healthcare is poised to change in the next few decades and one of the fundamental force vector of change is data and the free flow of health data cross platforms. Similar to how data is now flowing freely online from search engines to consumers, health information and insight needs to also flow freely but in a way that protects privacy and confidentiality. Students will explore how to leverage blockchain technology to provide better privacy and security to consumers regarding their health information. Students also explore if smart contracts can be used to allow for transfer of information both genetic and phenotypic information among health providers, data analytical platforms, hospitals and government agencies in a way that is both secure but provides a level of control and transparency to end consumers. Both startups and global leaders face the same underlying challenge: to effectively take an idea from concept to market. CEOs tell their product teams, ‘Solve this problem...go.’ For many on the receiving end, four daunting words may come to mind as they ponder the impossible: The Magic Happens Here. Shrewd product managers know that there is no magic, and instead exploit a 6-phase process known as the Delivery Lifecycle. Projects of any scope, in departments of any task, by companies of any size, will be poised for success by faithfully applying its principles. Whether you’re managing the creation of the next great AI app or the building of robotic systems, this hack is a must for anyone that deals with product in a development or marketing context. In this course, students will apply the delivery lifecycle to multiple development and business scenarios based on real-world timing and resources. Students will also explore Agile and DevOps methodologies. Ultimately, they will work in teams to build apps using the principles learned. Knowing the delivery lifecycle isn’t rocket science, but knowing how to THINK using the delivery lifecycle is. During the course, you will learn the basics of being a management or technology consultant. Through reading, case studies and hands-on application, you will gain a deeper understanding of how the consulting process works and begin to develop the skills you need to have a career in consulting. Henry Ford’s introduction of the Model T automobile revolutionized transportation and American industry. But when Ford introduced his first car, the world had no roads, gas stations, garages, driving licenses, traffic schools, car insurance, speed limits, taxis, traffic cops with radars, repair technicians, oil change, auto parts manufacturers, Truecar.com, Mad Max movie, etc. All of these industries, innovations, regulations, social changes, health issues, entertainment opportunities, etc., became an integral part of the ecosystem centered around “the car” which we don’t even notice today in our daily lives. It has been a bit over a hundred years since the Model T was introduced. And as the “car” became one of the most important modes of transportation for humans, it also created many problems that the world is constantly dealing with. The United Nations ranks energy, sustainable cities, and sustainable environment as three of the top twelves global challenges of our times. These challenges are caused in large part by the "car ecosystem”. To address these challenges, innovators, technologists and business entrepreneurs have started looking at an old dream: flying vehicles. In this course, we will imagine together a not-so-far future where “flying vehicles” are introduced to the market and a new ecosystem emerges around them. Students will have the chance to learn about current technological, social and business trends which are beginning to shape the flying cars ecosystem and then help design its future. We believe healthcare is poised to change in the next few decades and one of the fundamental force vector of change is data and the free flow of health data cross platforms. Similar to how data is now flowing freely online from search engines to consumers, health information and insight needs to also flow freely but in a way that protects privacy and confidentiality. The class will explore these topics and the teams will be challenged to come up with ideas to enable this new market. The winning team will win a cash award in a coin that is actively traded on one of the major exchanges. This Collider will follow the format of a two-day intensive seminar where students will explore the fundamentals of blockchain technology, its history, and its evolution. Sessions will cover cryptocurrencies, proof of work/storage concepts, Ethereum, DApp (Decentralized Application) development, and what’s next with blockchain. Today, online data trails provide large volumes of private, real-time consumer information to companies doing business on the Internet. Search histories, GPS locations, browsing behaviors or social media content postings, allow companies like Google, Amazon and Facebook to mine data streams to gain insights and details that consumers may consider private (and may incorrectly assume is undiscoverable). Can we protect the privacy of individual consumers by injecting irrelevant or misdirected noise into the Internet data stream? Cuba. Entrepreneurship. Two words that you don’t see together often. Since its populist revolution in 1956, Cuba has been a mysterious blind spot on the American economic map. Through embargoes and travel restrictions, Cuba’s economy has managed to survive and even thrive. Modern Cuba is a unique mix of command economy and endemic entrepreneurship, powered by tourism and remittances. Most interesting is the problem solving (i.e. innovation) models that are unique to the Cuban ecosystem. They are vastly different than the innovation models that made Silicon Valley or Tel Aviv successful. During this weeklong International Collider course, you will work with Cuban students and entrepreneurs to learn about the innovation models of Cuba and the US; and apply your creativity to solving business and technology problems for local Cuban entrepreneurs. The goal is to develop a proof of concept and business model to explore the viability of a network of sensors that would augment autonomous vehicle navigation. Of equal importance is the creation of a self-sustaining business model to minimize the initial capital investment burden on municipalities, which will speed up the adoption of autonomous vehicles. This project is a great opportunity for students interested in smart cities, autonomous vehicles, transportation optimization, and IOT. Students will work under the advisement of counter-terrorism experts to develop solutions that will leverage the latest in data science tools and technologies to increase the productivity of experts and analysts trying to stay one step ahead of criminals using social media, mobile banking, crypto-currencies, shell companies, shadow NGOs, etc., to raise and move funds around the globe. Students will tackle new methods and processes for developing tasty new plant-based fish substitutes. Nowadays overfishing and fish farming is reaching crisis levels. Although consumption of plant-based fish products is on the rise, better and affordable products are needed to promote a massive behavioral change. This Challenge is the first of its kind effort at a University level Worldwide to develop urgently needed innovative solutions. "Financial inclusion" is defined as access to reasonably priced financial services from sound and sustainable financial institutions. Over two billion adults in the world (38% of all adults) are financially excluded. Student teams will be asked to study the financial inclusion gaps by geography, identify user needs and propose technology solutions. The Sutardja Center and Jacobs Institute are partnering with OSAA Innovation to design and build a working prototype of a device that will eliminate the cumbersome IV poll that relies on gravity to dispense fluids to patients in hospitals and clinics. Polls consume space and are difficult for children, elderly, disabled patients to manage. The Sutardja Center is partnering with Cheetah Mobile to explore innovative chatbot design and development. Students are challenged to develop an effective and engaging chatbot on a platform of their choice. Kabam creates, develops, and publishes games via Apple App Store, Google Play and the Amazon App store. This four-week collider project is an open challenge for Berkeley graduate and undergraduate students to develop and present a comprehensive market research and analysis report that predicts the next emerging market hot spot for iOS revenue over the next two year period. 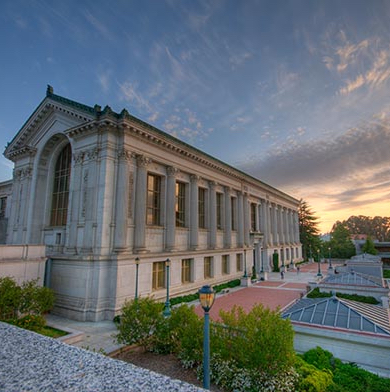 The Sutardja Center is partnering with the Inter Varsity Entrepreneur Challenge to bring 8 UC Berkeley students to Singapore and compete in an intensive 1-week Fintech Competition from May 29th - June 4th. A continuation of the Collider launched last fall, in this second and final phase, students will test their hypotheses under the guidance of a team of data scientists. In partnership with the Jacobs Institute for Design Innovation, this is a unique design and build challenge with promising social impact. A Cal-founded company, Imprint is seeking engineers and researchers interested in translating unique battery requirements of new wearable and IoT applications into practical metrics and test methods for battery designers. This collider will focus on emerging applications of blockchain technology beyond the commonly known “bitcoin” use case. Work alongside leading industry experts and faculty to develop big data strategies and recommendations for retailers big and small. A $5000 cash prize is available! Limited to 10 students. IPIRA would like to add real value to ideas in their portfolio and would like to team up with SCET students to make this happen. A $5000 cash prize is available. Look through our archives from past semesters. Students Pitch Transnational Security Tools in Washington D.C.
Collider Sprints do not change the ownership of IP. If the problem and resources to work on the problem are provided by a sponsoring firm and no substantial use of facilities and equipment are provided by the university, then the firm may own the resulting IP, similar to an internship. If the resources to work on the problem, including substantial use of facilities and equipment, are provided by the university, then the IP may be open or protected by the university at the discretion of the faculty and researchers. For projects proposed and conducted entirely by students who are not paid employees of the university, such as undergraduates students, then students will continue to own the work of their project as well as have the ability to make their results open.